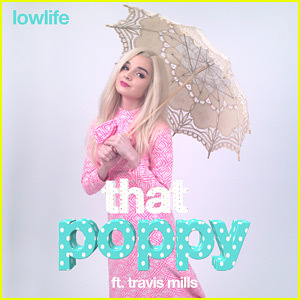 Check out the first listen of That Poppy‘s “Lowlife” remix featuring Travis Mills (also known as T. Mills), provided exclusively to Just Jared! The remix will officially debut tomorrow, but we have the full song for you here before you can purchase. In the meantime, you can check out That Poppy‘s original single for “Lowlife” over on iTunes. That Poppy is a young singer and songwriter who grew up surrounded by music in Nashville. “I write songs because I have a lot of feelings,” she said. “I want people to be able to relate to what I’m talking about because I have something to say.” Be sure to look out for her in the future! 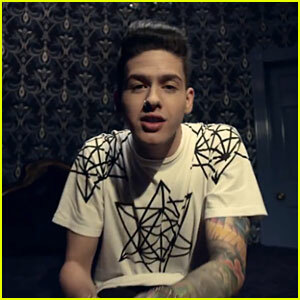 T. Mills' 'All I Wanna Do' Is So Catchy - Watch the Music Video Now! Check out T. Mills showing off his tattoos in a white tee in his latest music video for his song “All I Wanna Do,” which is the title track off of his latest EP! “#AIWDonVEVO is at just about 150,000 views in the first 24 hours! if you love me lets keep this going,” the 24-year-old rapper tweeted about the video. In case you didn’t know, T. Mills will be joining British band Rixton as a special guest on their Broken Heart Summer Tour, which kicks off in Boston on July 30th and runs through August 23rd. WHAT DO YOU THINK of T. Mills’ new music video for “All I Wanna Do”? T. Mills tours around the country in this new video recapping his All I Wanna Do tour, provided exclusively to JustJared.com! The 24-year-old rapper will be on the road for the rest of the month and he has thirteen shows left spread around the country. The tour will end on April 24 in Los Angeles. Head on over to TMillsMusic.com right now for all the info. If you haven’t heard his song yet, listen to T‘s single “All I Wanna Do,” which we premiered back in February to much fanfare. Buy T. Mills‘ new EP on iTunes right now! 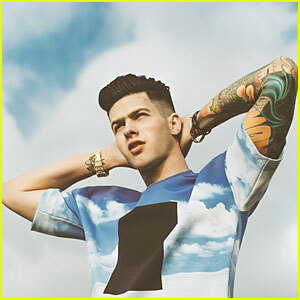 T. Mills: 'All I Wanna Do' Exclusive Premiere - Listen Now! Here’s your first listen of T. Mills‘ new song “All I Wanna Do,” premiering exclusively on JustJared.com! The 24-year-old rapper is scheduled to drop the lyric video for his single on Tuesday (February 25), the same day that his new EP will be released. T. is currently on his All I Wanna Do Tour, which will wrap up on April 24 in Los Angeles at the El Rey. 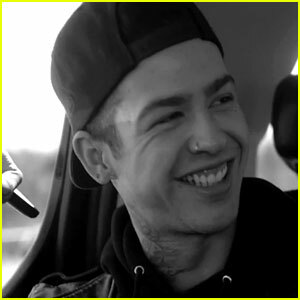 T. Mills has also been busy working on his debut album with famed producers such as Boi1Da, Malay and Cook Classics and the album is slated to be released later this year. T. Mills' 'Diemonds' Video Premiere Exclusive - Watch Now! Check out the video premiere for T. Mills‘ latest song “Diemonds” off of his mixtape THRILLIONAIRE, provided exclusively to JustJared.com! The 23-year-old rapper, who filmed the vid on location in New York City, just wrapped up the Vans Warped Tour this past summer, coming off of his single “Vans On”. T. Mills is back in the studio prepping his major label debut album to be released early 2013 – we can’t wait! 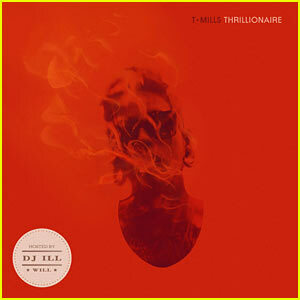 If you love THRILLIONAIRE, grab your copy over at T.Mills’ website for free. The video was directed by Brian Petchers, and assistant directed by Johnny Ferri. WHAT DO YOU THINK of T. Mill’s video premiere of his song “Diemonds”? ?